An eclectic look (one merging many different decorating styles) can have an amazing energy about it that one-note rooms simply cannot match. But creating balance can be a major challenge. How do you pull off mixing traditional antiques, modern pieces and finds from your travels in a way that feels curated and interesting, rather than chaotic and cluttered? Here are nine tips to help you hit just the right note. Be purposeful with color. A considered color palette is a tool that can create a sense of direction in an eclectic home, allowing you to curate your home’s look. You can have a lot or a little color — the key is to have a plan; otherwise you run the risk of ending up with a mishmash of eccentric pieces that do not harmonize. In the space shown here, pink, purple and blue are repeated in the artwork, pillows, throw and even the spine of a book and the small potted plant on the coffee table, creating an energetic yet collected color palette. Group items to make a collection. If you have three of something, you have a collection — for higher impact, put those items together rather than randomly spreading them on different surfaces. There are the obvious collections, like vases, but you can also think creatively and group other kinds of items together to give them more presence and purpose: Try grouping items by color, shape or theme. This works for art as well as objects. Eclectic, Colorful Vases to Create a Collection. Balance decor styles. 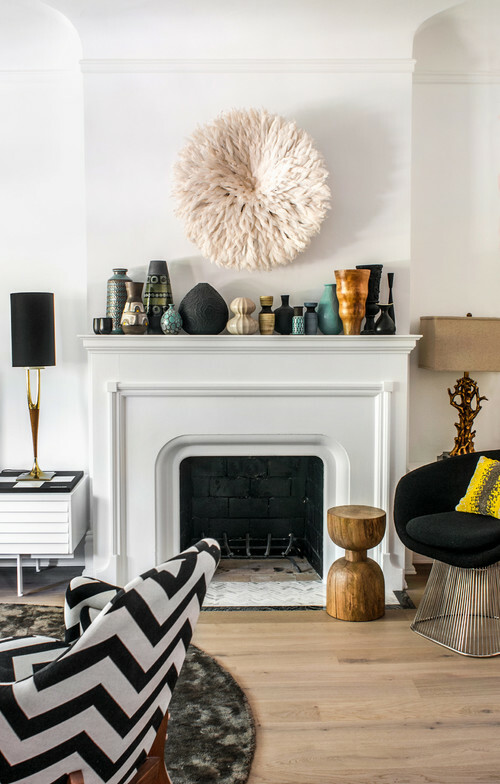 If your eclectic pieces don’t seem to be playing nicely together, take a quick head count and see how many items of each style you have in the room. When there is only one piece in a certain style, it can stick out more than if it had a little company. In the room shown here, for instance, the great big chinoiserie panel on the wall is subtly echoed by the lacquered side table with bamboo legs, helping the larger piece feel more at home. Helping a lone item fit in can be as simple as adding one or two small accessories, like a candlestick or vase, in the same style. 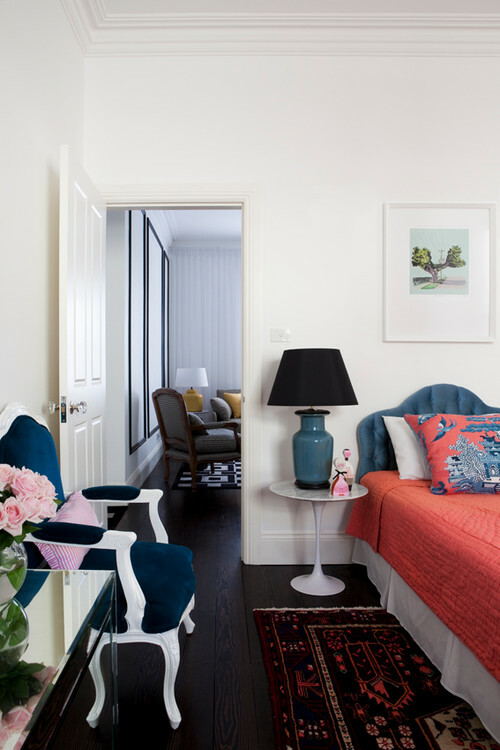 It’s important to do this in each room, so your entire space has a balanced eclectic feel — having totally different styles in each room will give you design whiplash! Build a bridge between styles. Another great way to bring divergent styles together is with a single piece that acts as a bridge between the two. 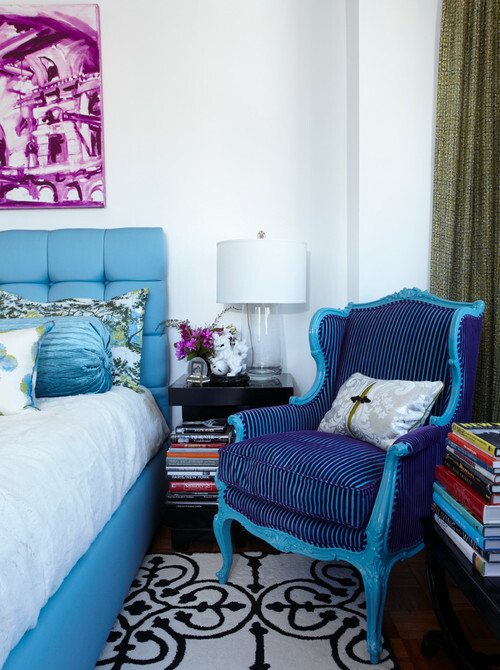 The antique armchair shown here was painted electric blue and re-covered in a fresh striped fabric, but you could just as easily go the other way, pairing a modern piece with a traditional fabric and colors. Use high contrast. Juxtaposing two pieces that are really different usually works better than pairing pieces that are only sort of different. 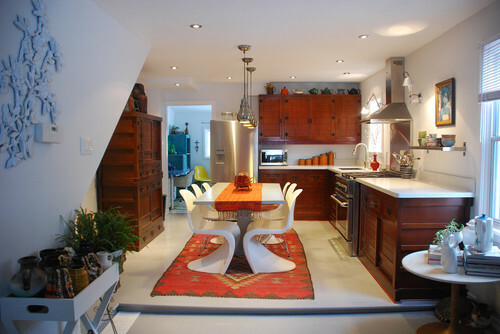 In this kitchen a classic kilim rug and antique cabinet are set off by a slick swoop of ultramodern Panton chairs. Try using a gold-framed baroque mirror over a clean-lined console, a farmhouse table with Eames chairs or a carved wood daybed with a Lucite coffee table. Balance textures. Too many chipped, aged and rough textures in one room can make your space feel more like a flea market than like the fresh, inspired room you were going for. Balance worn and aged pieces with crisp, slick and shiny surfaces to strike the right balance. Move your furniture. The spirit of eclectic style is about more than the pieces you choose — it’s about how you use them. Try using a side table or chair as your nightstand, a nightstand as a side table, table as desk, desk as console and so on. There is no rhyme or reason to this; just put some music on and start moving things around to find out what works … you might surprise yourself. Reuse an Accent Table as a Nightstand for a Fresh Look. Relax your space with neutrals and naturals. If your space is still feeling too haphazard, try toning it down with large expanses of neutral color on the walls, floor and big pieces of furniture. Bringing in natural materials and textures — like sisal or jute rugs, real or faux sheepskin and neutral-hued wool, linen and leather — can also go a long way toward creating harmony in an eclectic home. Edit, edit, edit. 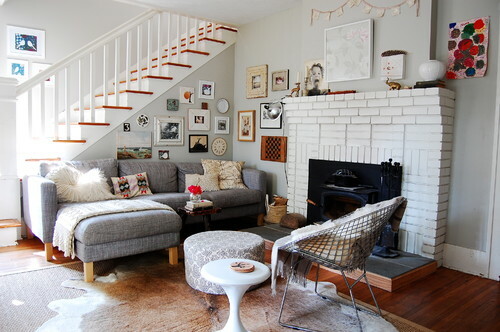 Paring down and giving the eye some white space to rest on will help make your home feel calm and a pleasure to be in. If it makes it easier, allow yourself to remove things temporarily — just to see how the space looks and feels without them, before letting go permanently. Roll up a rug, remove a piece of artwork or toss a big white sheet over your most vibrant piece of furniture to get an idea of what the room would look like without it. 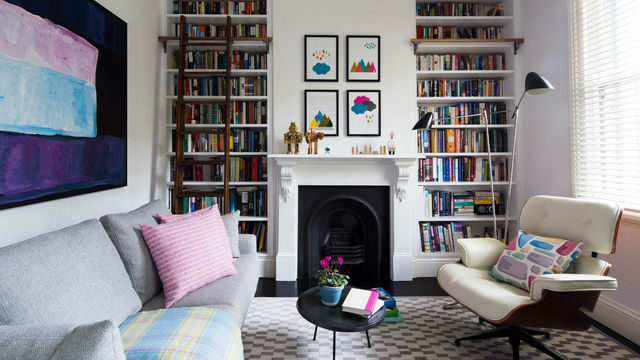 Living Room Ideas That Nail Eclectic Style.